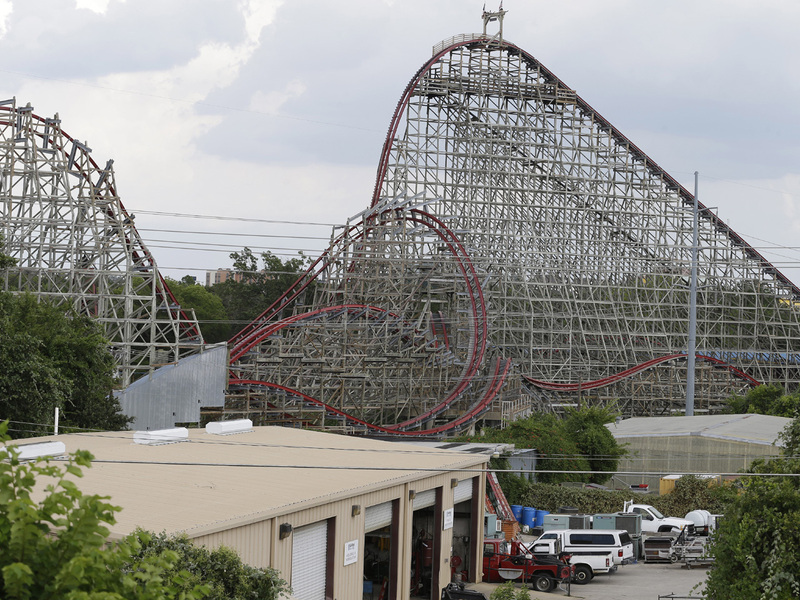 DALLAS Nearly a dozen people reported being injured in the last five years while riding the Texas roller coaster from which a woman fell to her death last week, though the most serious injuries appear to be a concussion and muscles strains due to jostling, state records show. The investigation is ongoing into how Rosy Esparza, identified earlier this week by CBS affiliate KTVT, fell while riding the roller coaster Friday evening at the Six Flags amusement park in Arlington, a western suburb of Dallas. A witness told local media that Esparza expressed concern moments before the 14-story ride began that the safety bar had not completely engaged. A man who identified himself as Esparza's son declined comment Monday when approached at her home. CBS Dallas affiliate KTVT's investigative team found that the federal government has no oversight of amusement parks and some critics say the state has very little, putting the investigation largely in the hands of Six Flags instead of an independent group. Texas state's Department of Insurance, however, does hire a private safety engineer annually to inspect the Texas Giant. The latest inspection was February of this year. Reiss, the amusement park expert, speculated that either Esparza managed to slip out from behind a locked mechanism or that the harness mechanism failed and it opened.